Joanna was born in Poland, moved to Italy at 7 years old, before settling with her family in Québec where she currently lives. Educated as an interior designer, she worked at the Federal Government for over 10 years designing and managing work environments applying sacred design whenever she could, from personal workstations to Minister’s offices. She ended her career to help those around her by combining her passions for Ayurveda, Yoga, Sacred Design and traveling. 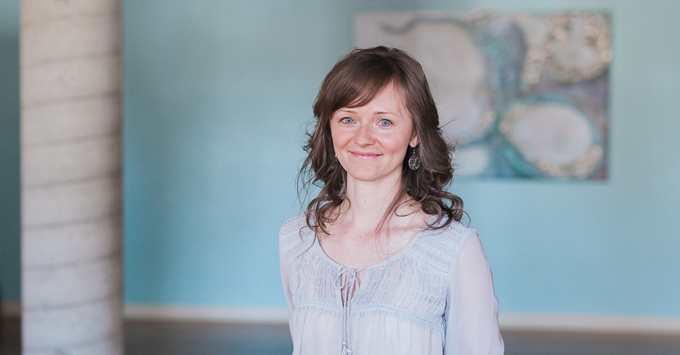 A Yoga enthusiast since 1996, Joanna is a Kripalu Hatha Yoga Teacher since 2011, also specializing in Yin and Restorative styles. She is a certified Ayurvedic Health Counselor, a Professional Member of the National Ayurvedic Medical Association and a Naturopath with the Association des Naturopathes Professionnels du Québec. In constant evolution in her field, she is trained in Marma Therapy (Ayurvedic acupressure) under the tutelage of Dr. Vasant Lad in New Mexico. 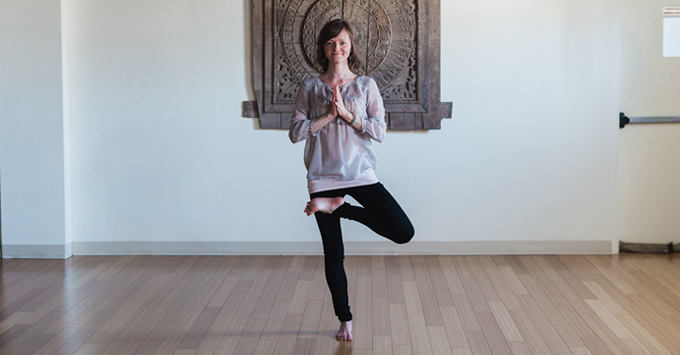 In addition, fueled by her mission to work with Women’s Health, Joanna specializes in Ayurvedic Pregnancy and women’s cycles. She trained under the tutelage of Dr. Rosy Mann at the Kripalu Center for Yoga & Health in Massachusetts. She studied Sacred Design (Vastu Shastra) at the Maharishi European Research University in The Netherlands. With over 15 years of travels since her childhood taking her to all corners of the world, Joanna is a lifelong student and teacher of the Vedic sciences and a world citizen always on the lookout for the next adventure. Joanna’s intention is to empower you to find profound inner peace through easy and effective tools so that you can cultivate a sublime life on a daily basis.